Living room is important place and you can determine characters of homeowners from their living room arrangement. One of interesting designs is Moroccan that comes from country in North Africa. Before discussing more about Moroccan living room, there are several things to know regarding this kind of design and the preliminary requirement. It might come from country in Africa, but this style has close relationship with Middle Eastern and Europe, especially Spain. 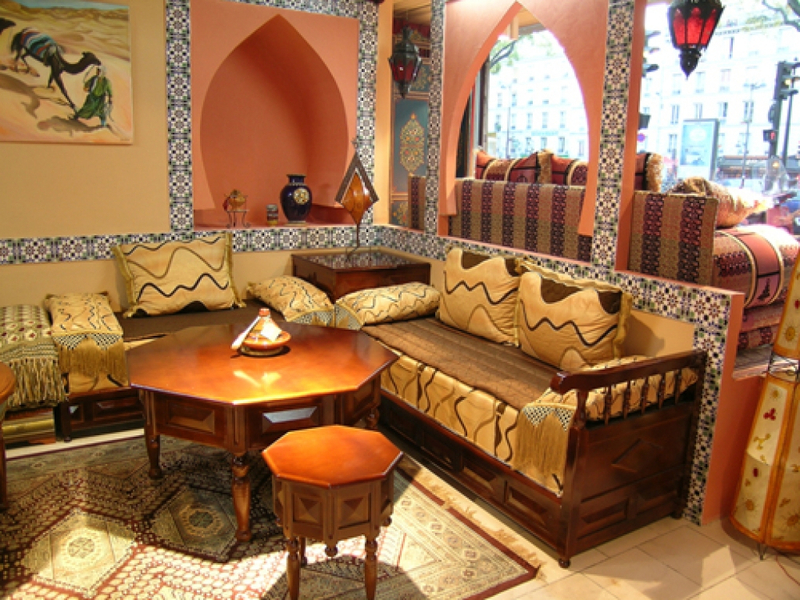 You can say that Moroccan living room will be combination between traditional accent and a little bit modern. The result is something that makes people wants to sit quietly and enjoy every moment in their living room. Before applying this style on living room, several matters should be considered. In general, you may need more space to put some Moroccan accents such as sofa, table, carpet, lighting fixture, and some additional furniture. It might not be good news, but you do not have to worry about such thing. Room space is important because old Middle East and Europe design uses living room for more than treating guest. In past time, they created event or celebrated certain day which took place in living room. Another consideration is furniture. Living room arrangements do not mean you must use new furniture or buy it at store. Such thing takes effort and money. Arrangement means putting everything in proper place to get desirable style. 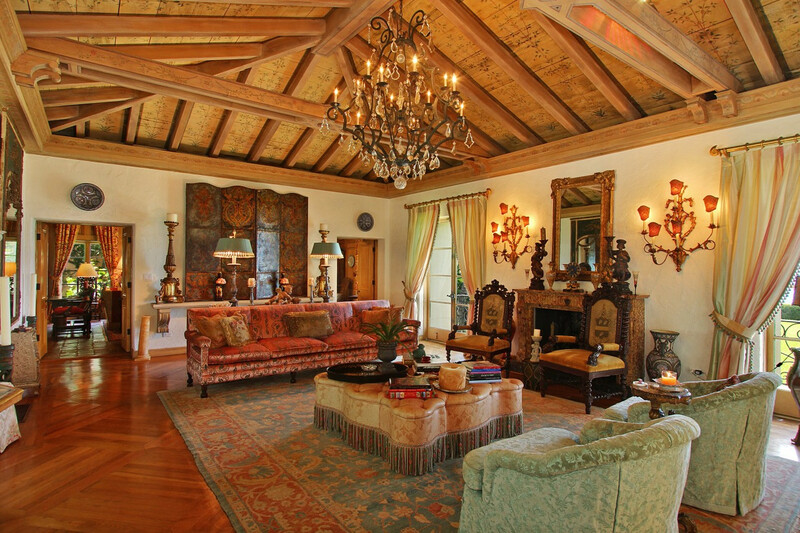 For this matter, you may want Moroccan style on living room. However, there is problem when previous decoration is completely lack of close connection to Morocco. You need to spend wisely before deciding to buy new furniture. Let’s start from basic thing in Moroccan living room. You can use low ground with no visible leg then add small coffee table at the middle. If your room is small, you can put both furnishings at close edge to the wall. To make more Morocco accent, put carpet with traditional pattern at floor. For coffee table, you may consider octagonal or round shape. The other furniture is small cabinet or cupboard on corner. Moreover, add lantern as lighting fixture. If you want to feel real Moroccan atmosphere, add old fireplace then few paintings on the wall. The next thing is about color. Several colors can be applied in Moroccan living room such as white, blue, grey, red, light yellow and light brown. Colors are implemented for wall, floor, and sofas. Do not forget to add curtain with traditional pattern. 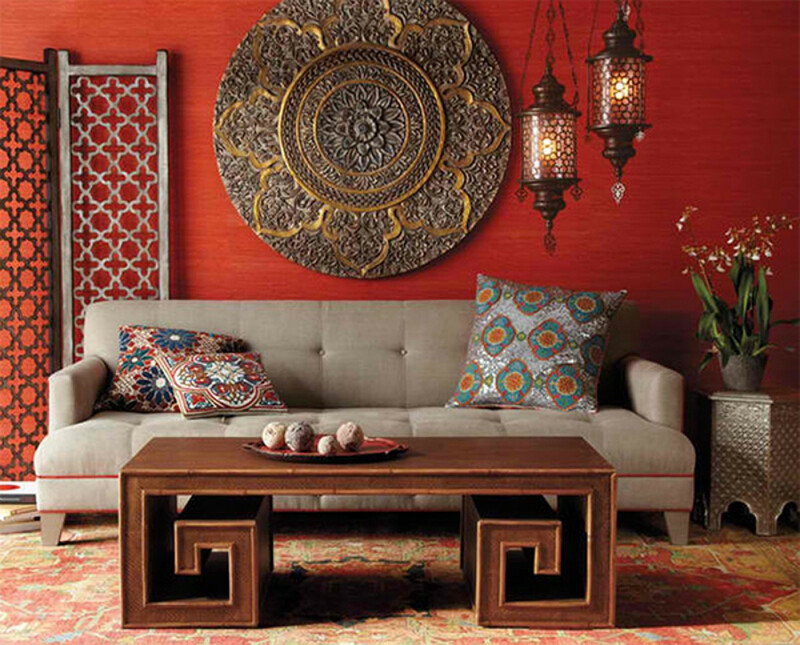 Therefore, your Morocco style is ready to mesmerize everyone in your living room.